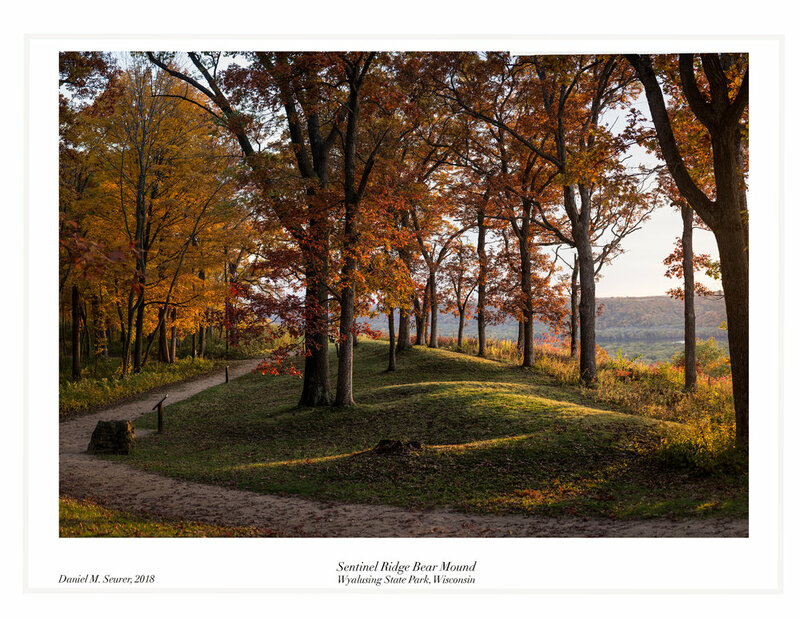 In March of this year, I have started a series of weekly posts on my Facebook timeline, and that of the Effigy Mounds Initiative's Facebook timeline, which will include images of Native American Mounds from Wisconsin and neighboring states. Occasionally images of mounds from other parts of the United States will be included. In addition, images taken during my days studying Archeologiy in undergraduate (BS UW-Oshkosh 1978) and graduate schools (MA, UW-Madison 1982) in the 1970's and 1980's, will make there way into this portfolio. In addition to posting images in my on-line portfolio, I will also be using this blog to provide a backstory on some of these images. While most of these backstories will be in written form, I plan to eventually create short 1 or 2 minutes vlogs (video logs) backstories where appropriate. Once I have posted a large enough body of work, the plan will be to create an ebook from this collection. I invite any one to download these images for personal use and enjoyment. I freely will grant permission to use these images for all activities related to the study and preservation of these sacred places. All I ask is to be notified of the intended use, and be given the proper credit. I hope you enjoy this series, and trust they will help in building awareness to our historic and prehistoric heritage.